Rediff.com » Cricket » Will it be Sachin Tendulkar against Sourav Ganguly in the ISL? 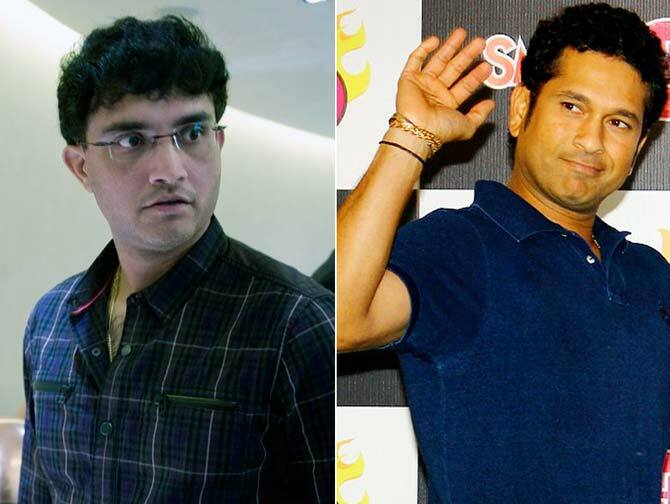 Will it be Sachin Tendulkar against Sourav Ganguly in the ISL? It has already lined up big names on the field. Like Dwight Yorke, Fredrik Ljungberg, Hernan Crespo, Louis Saha, Marcel Desailly and Robert Pires. Now, it promises a few big names off it. The much-anticipated Indian Super League (ISL), an IPL-style football tournament to be organised by IMG-Reliance, may well have a host of high-profile owners, thereby presenting the possibility of an equally high-profile match-up. For starters, it can pit two legendary cricketers against each other. Master Blaster Sachin Tendulkar has evinced an interest in the Kochi franchise, it is learnt, while former India captain Sourav Ganguly is part of a consortium - along with La Liga leaders Atletico Madrid - that is bidding for the Kolkata franchise. The organisers received a positive response from more than 30 interested parties to its 'Invitation To Bid' tender notice. The bids closed on March 27. 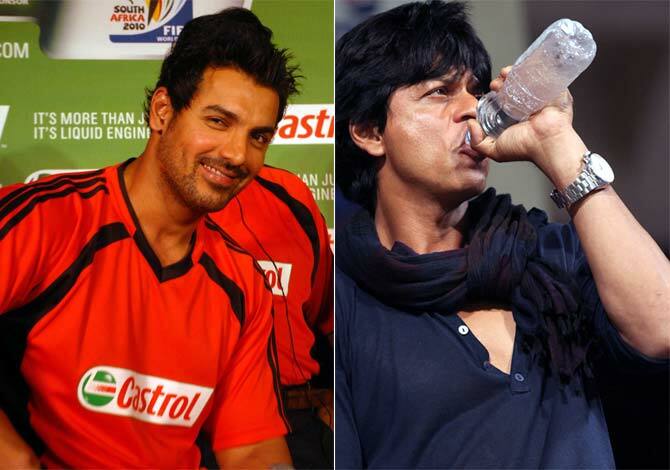 Besides the possibility of the two former cricketer legends being pitted against each other, the ISL also promises a face-off between two leading Bollywood stars. As per reports, Shah Rukh Khan has also made a bid for the Delhi franchise. The superstar, whose company Red Chillies Entertainment owns the Indian Premier League franchise Kolkata Knight Riders, hails from the capital. Also, John Abraham is bidding for the Guwahati franchise. The actor, enjoying a purple patch, is part of a consortium that includes I-League football club Shillong Lajong and former India football star Baichung Bhutia. With such interesting possibilities, the future of ISL looks bright indeed. The respective bids will come under intense scrutiny of a high-profile seven-member panel, which will evaluate the documents on Friday-Saturday, before making a formal announcement on Sunday. According to sources, the panel -- comprising eminent personalities from various fields, including professions such as sports, law, finance and corporate governance experts -- will meet in Mumbai on Friday evening. "A high-profile seven-member panel will meet today [Friday] evening to open and evaluate the second and final set of bid documents," said a source, adding, "The process will get over by Saturday evening and Indian Super League promoters, IMG Reliance officials, are expected to make announcement about the eight winners on Sunday." So, expect some surprises as Indian football, once called a 'sleeping giant' by FIFA president Sepp Blatter, attempts to break new ground. PHOTOS: Sir Jadeja hooked on horses!